I recently went to Candlelight Ganja Flow—a hatha yoga class that incorporates cannabis. There are few ganja yoga classes in Boston so I had to check it out. The combination of yoga and cannabis seems like a no-brainer, even to a novice cannabis consumer like me. I know from experience that both can bring us more into the present and produce deep relaxation. That was exactly my experience. Kijana Rose, who has been teaching yoga in Boston for the past year, practices Ganja Flow at her studio in the neighborhood of Roslindale. She grew up Rastafarian so cannabis has been in her day-to-day practice all her life. Rose often smoked before yoga class as a way to enhance the experience but didn’t think of it as any kind of formalized practice until she went to her first ganja yoga class on a visit to Toronto in 2017. There was one other person the night I went—a tourist from New York City—who was taking advantage of being in a legal state. We were first given vape bags that contained a strain with 25% THC. The candlelit practice began with a short meditation and a thirty-minute session of balance postures. My balance, never great, was more off than usual, but I felt more focused and less distracted by life than I usually do. After a smoke break, we slowed down with a floor stretch and a guided meditation for another thirty minutes. Rose placed a cool wash cloth that had been soaked in lavender water on my forehead while we were in the final pose, Savasana. Before we left, we were given treats to take home. 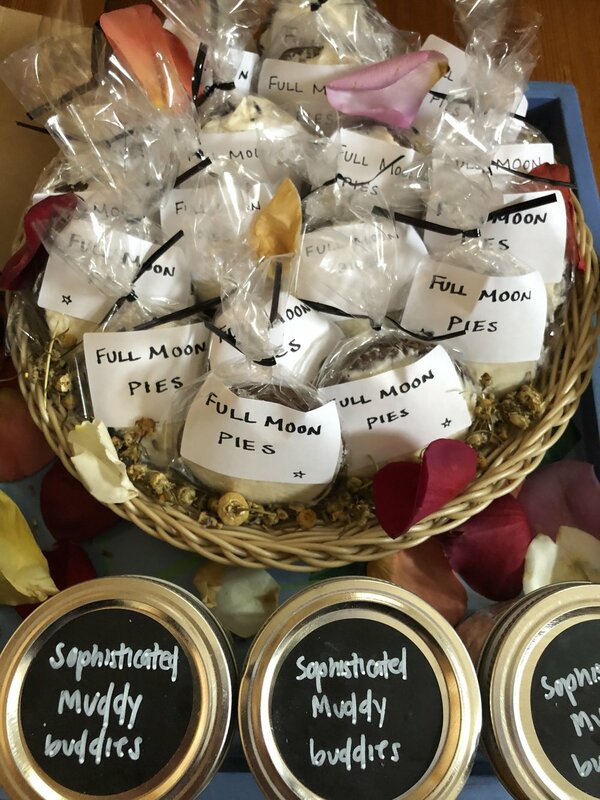 Rose took the time to explain each homemade product: a lemon-ginger-cayenne-maple syrup detox shot, high chai made with almond milk, maple syrup, cardamom, anise, and weed, and a cookie dough chocolate truffle that she infused with Super Blue Dream (50 grams of THC) and coconut oil. The ginger shot was strong and cleansing. The high chai was delicious and left me buzzed the rest of the night. I decided I would try the edible another day. This was my first experience with ganja yoga so I can’t compare, but I left feeling relaxed and excited to go again. Rose will soon offer stretch and smoke classes and cannabis massage, as well as Ganja yoga nutrition and wellness retreats at her home in Jamaica. Classes are available 3-5 times per week at her studio in Roslindale. She is hosting a pop up in Los Angeles at the end of September, and hopes to host more events throughout California and in other legalized states.